During his townhall address to Flipkart employees at the company's headquarters in Bengaluru, Walmart President and Chief Executive Officer (CEO) Doug McMillon was learnt to be quite impressed with the e-commerce major's technological prowess while emphasising the need of leveraging some of those for the Bentonville-based company's global operations. McMillon, seen wearing blue jeans and a T-shirt emblazoned with the yellow-and-blue Walmart logo instead of the usual suit and tie, told the employees that as far as the use of technology is concerned, Flipkart is years ahead, compared to what Walmart uses in the US. He also said that the retail major would like the Flipkart technological knowhow, tools, and processes to be implemented in Walmart's global offices, said sources. 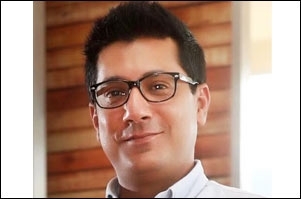 With Myntra, McMillon was impressed with the way the firm has built up a fashion brand. Walmart is looking forward to collaborating with Myntra and Jabong to help the company build a fashion brand, he added. 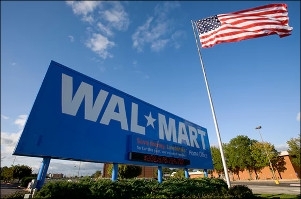 McMillon, accompanied by 15 top executives of Walmart, also told the employees that India is a "very big and crucial market" for Walmart, and Flipkart, including the group companies such as PhonePe, Myntra, and Jabong, would play a key role to this effect. The senior executives who spoke to the employees included Dirk Van den Berghe, executive vice-president and regional CEO-Walmart Canada and Asia, and Dan Bartlett, executive vice-president of corporate affairs for Walmart. According to an employee who attended the session, McMillon was highly appreciative of Flipkart and its other group companies' ability to take on anyone in this market. He told the employees that they need to remember that each day matters and the impact they are creating is crucial. Functional reviews or meetings with the business teams were also conducted on the sidelines. Top India officials such as Flipkart CEO Kalyan Krishnamurthy and Sameer Nigam, CEO of digital payments company PhonePe, were also present at the townhall meeting. Krishnamurthy, who wore a dark blazer, 'thanked' McMillon for the support by Walmart for all the Flipkart group companies. He also appreciated Walmart leadership for allowing the group companies such as PhonePe and Myntra-Jabong run independently. McMillon is also learnt to have appreciated the work done by Flipkart's payments arm PhonePe, which recently crossed the 2-billion digital payment transaction mark on the app. "He said 'we want Sameer (Nigam) and team to continue focusing on winning India'," said the person. Some employees were also busy taking selfies with the charismatic McMillon, who, in 1984, started out as an hourly summer associate in a Walmart distribution centre and rose through the ranks to become the CEO of the company. "The mood of the employees was euphoric. He (McMillon) is a very effective communicator, friendly, and a people person," said a person. "He is able to motivate people and catch their attention." 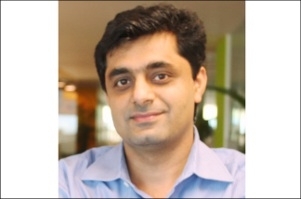 The person added that McMillon mentioned that the talent pool at Flipkart was very good. Most of the questions from the Flipkart employees were around how the collaboration can be improved between the two organisations and how does Walmart see Flipkart fitting into its grand scheme of things. US rival Amazon with whom the company is locked in a fierce battle for dominance in India's online retail market. Financial services firm Morgan Stanley estimates the Indian online retail market to touch $200 billion by 2028, from about $30 billion last year. Besides Jeff Bezos-led Amazon, Walmart-owned Flipkart is also facing a threat from Asia's richest man and the Chairman of Reliance Industries Mukesh Ambani, who is also betting big to grab a slice of the country's e-commerce pie.